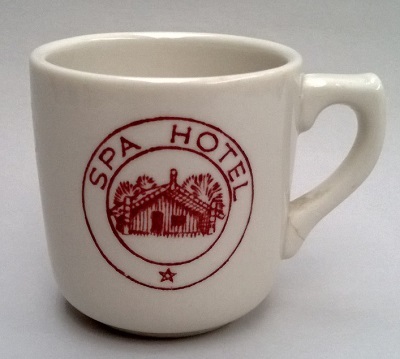 The Spa Hotel is located at Taupo has a long history and this little darling is from 1967. Wow!!!!!!! Thanks Ev, Your eagle eyes have done it again. 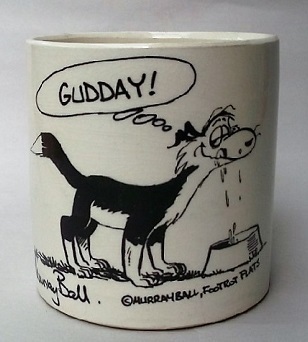 That brings back memories, stayed there about 1968 and probably drank after dinner coffee in one of those cups. The Lounge was originally a Maori meeting house claimed to be the first carved with steel tools. Very old then but quite an experience to stay there and have a lovely soak in the Thermal Pool. It was originally the site for the Armed Constabulary I understand. Worth going to the history article on google and current photos from the current booking site, many of the buildings seem to have been retained , a real piece of NZ history. I was enthralled with the Google info, but unlike you Jonno I've never stayed there.